Current studies trialling immunotherapy as cancer treatment are showing some amazing results, with exciting promise for patient recovery. St John of God Murdoch Hospital’s Principal Investigator and Associate Professor Kynan Feeney says it’s an area of rapid-pace research, with new generations of immunotherapy compounds and combinations of treatments being trialled on an almost weekly basis. Immunotherapy is a treatment that uses certain parts of a person’s immune system (a collection of organs, special cells and substances that help protect from infections and some other diseases) to fight cancer. Cancer cells are abnormal cells that should not exist in the body. They grow and spread through sophisticated mechanisms to avoid recognition and attack from the body’s own immune system. Immunotherapy works by helping the immune system to target and destroy cancer cells. At St John of God Murdoch Hospital, Oncology West is excited to bring patients some of the most cutting-edge investigational combinations of immunotherapy for cancer currently available. This work is being undertaken in conjunction with a variety of industry partners, from small biotech companies working on innovative new compounds, through to large pharmaceutical companies such as BMS, Pfizer, Roche, Novartis and MSD. 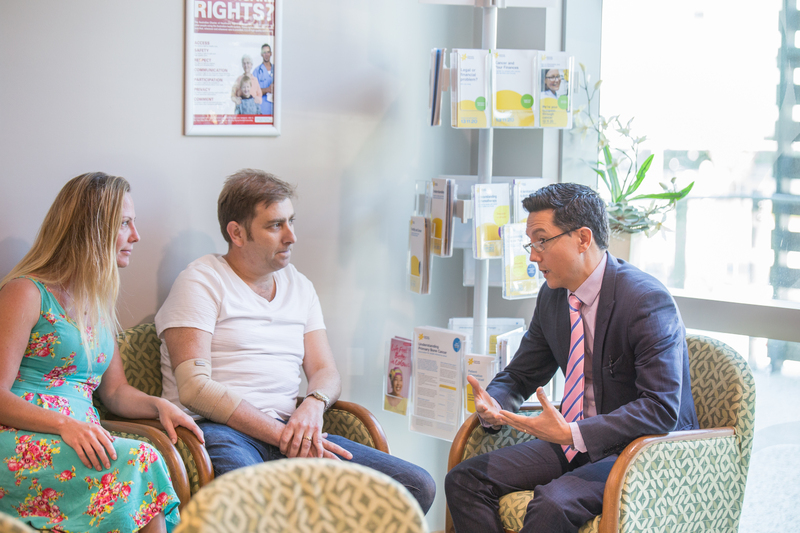 “Already, immunotherapy treatment is proving to be an effective treatment for some patients with melanoma, lung and oesophageal cancers,” Associate Professor Feeney says. “Later this year we are excited to launch a number of new studies using ‘next generation’ immunotherapy combinations, some of which will be used in large numbers of patients for the first time in Australia and the world. All treatment, including immunotherapy, can have side effects, although the more recent immunotherapies tend to be less severe than those that occur as a result of chemotherapy. “The next exciting challenges in research for patients include new agents targeting different aspects of the immune system, combinations of therapies and trying to work out why some patients do or do not respond to immunotherapy,” Associate Professor Feeney says.